Working together with our local partner: Resursa Obywatelska organization, FODZ managed to secure and transfer to the cemetery newly discovered Jewish tombstones. Our Foundation's primary mission is to protect and commemorate the surviving sites and monuments of Jewish cultural heritage in Poland. We also place high value on education. We are therefore very excited to announce the 2015 re-launch of our “To Bring Memory Back” educational project. The purpose of the project is to engage Polish students of secondary schools and high schools to discover the pre-war multicultural heritage of their towns. The program envisions using available archival information and testimonies of elderly locals, plus other historical data and resources, to reconstruct the history of the pre-war Jewish community. The “To Bring Memory Back” program is being supported by the Polin Museum of History of Polish Jews and the Association of the Jewish Historical Institute in Warsaw. 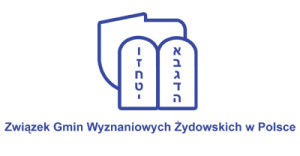 The Foundation for the Preservation of Jewish Heritage in Poland (FODZ) announces a new "ADOPT-A JEWISH-CEMETERY" initiative to help save Jewish cemeteries in Poland. The 17th century large baroque synagogue of Leczna on Boznicza Street (known as the Great Synagogue) is a rare survivor of the pre-War Jewish community. During the War the building was seriously damaged and afterward suffered from neglect and active dismantling by the local community. Plans for demolition were discussed in the 1950s but fortunately withdrawn, and in the mid-1960s the building was reconstructed, with some modifications but largely preserving the synagogue's most significant architectural features, among them the central four-column brick bimah with ornamental renaissance-style cornices, and the two-columned brick Torah ark with decorative 17th century stucco details and ochre-colored Hebrew inscription "Know before whom you stand - before the King of the Kings; Holy, Blessed He". REVITALIZATION OF THE RENAISSANCE SYNAGOGUE IN ZAMOSC FOR THE NEEDS OF THE CHASSIDIC ROUTE AND THE LOCAL COMMUNITY. The Renaissance synagogue in the Zamosc Old City is one of the most spectacular monuments of Jewish heritage in Poland. The Foundation for the Preservation of Jewish Heritage in Poland has been the owner of the building since 2005. Our goal is to transform the synagogue into a modern cultural institution that will serve both Jewish visitors to Zamosc and the local community. The opening of the "Synagoge" Center took place on April 5th, 2011. The President of the Republic of Poland Bronislaw Komorowski assumed honorary patronage over the ceremony. Within the framework of the project an activity “Restoration of the synagogue complex in Krasnik - phase I (protective works from further decay)” was also implemented. The works in Krasnik (a town 90 km away from Zamosc) were conducted in 2010. Within the frames of the Chassidic Route project, the Foundation for the Preservation of Jewish Heritage in Poland, in cooperation with the Municipal Council of Krasnik, is carrying out the project of revitalizing the synagogue complex in Krasnik, aiming to create there a cultural center for youths and tourists. It is to become the most important element of the Chassidic Route, along with the synagogue in Zamosc. The Foundation is very proud of its project known as the Chassidic Route, covering a large area in southeast Poland known for its high pre-War Jewish populations (in some towns Jews represented >60% of the total population) and rich religious and architectural legacy. The project has already been joined by 28 local Polish communities. On November 6-8, 2013 an International Multidisciplinary Academic Research Conference ‘Jan Karski – Witness, Emissary, Man’ took place at the Zamość 'Synagogue' Center of the Foundation for the Preservation of Jewish Heritage in Poland. 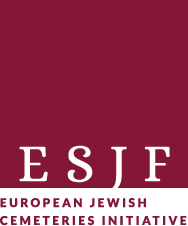 The conference was organized by the Foundation in partnership with the Polish-Jewish Literature Studies Center at the John Paul II Catholic University of Lublin, Poland and The Union of Jewish Communities in Poland. The conference was held under the honorary patronage of the President of the Republic of Poland Bronisław Komorowski. We cannot ignore any acts of anti-Semitism; consequently, we inform appropriate authorities about all the recognized anti-Semitic incidents (leaflets dissemination, public speeches, graffiti) or acts of vandalism directed against Jewish heritage monuments in Poland.